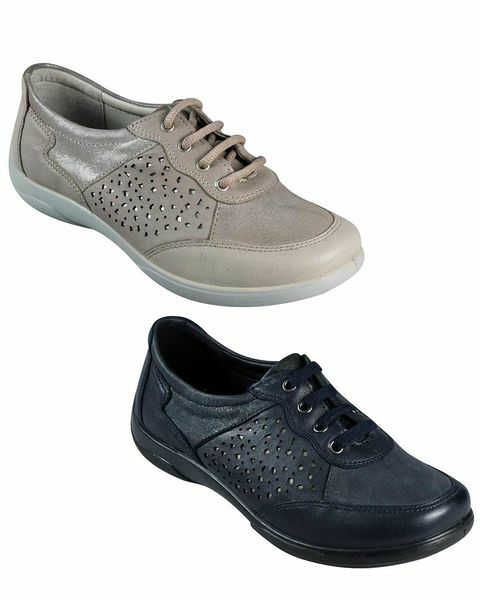 Ladies Padders Harp Shoe. In Sizes 3, 4, 4½, 5, 5½, 6, 6½, 7, 8. 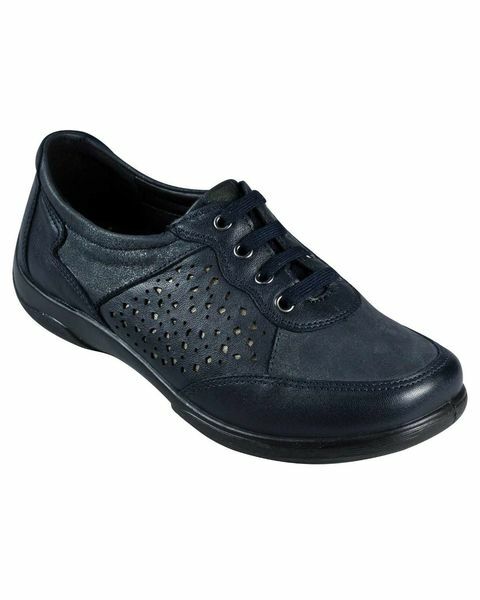 Comfortable soft leather lace up style shoe with contrasting toe panel from Padders. Removable insole provides 2E to 3E fitting in one shoe.